Nintendo reported third-quarter 2017 earnings on Tuesday that beat analysts’ expectations. The company sold 7.23 million Switch units in the third quarter, driving most of the upside for its stock. A Jefferies analyst believes that we will continue to see the company beat expectations and prompt higher forward guidance in the next two to three years. View Nintendo’s stock price in real time here. 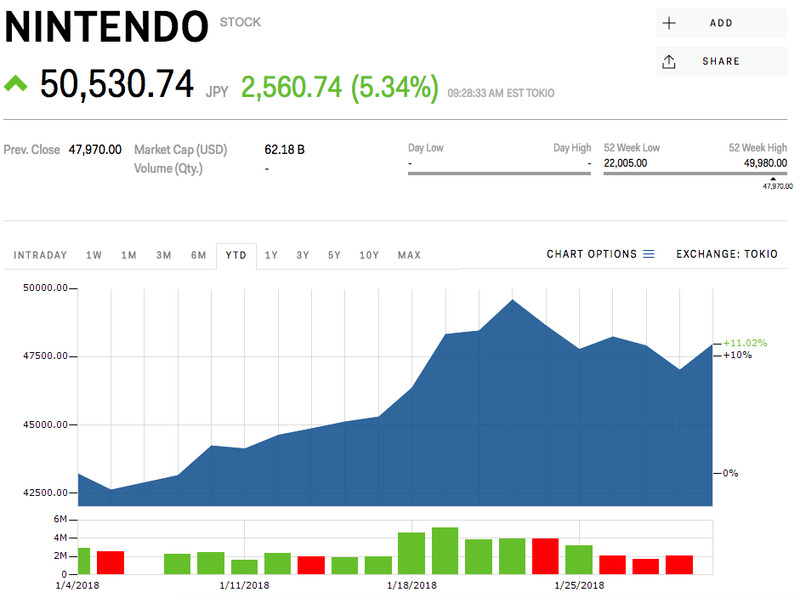 Nintendo‘s Switch consoles have helped the company handily beat earnings expectations on Tuesday, which is boosting Wall Street optimism that the trend will likely continue in the coming years. Its stock was up 5.34% on Wednesday morning at 50,530.74 yen per share. Wall Street continues to be impressed by the sales streak of the Switch consoles. The company has nearly doubled its stock price since it launched the hybrid home-portable device last year. 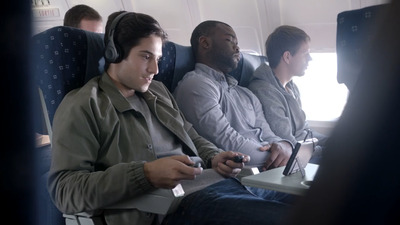 Nintendo announced that it sold 7.23 million Switch consoles in the third quarter, already outdoing lifetime sales of its predecessor, the Wii U, which had been on the market for five years before being discontinued last fall. Since Nintendo launched the Switch in March 2017, the Japanese video game maker has sold nearly 15 million Switch units. The company raised its full-year guidance to 20 million Switch consoles sold in 2018. The objective doesn’t seem too out of reach for the company given Nintendo is already 900,000 units ahead of its 2017 target, and it still has three months left in the fiscal year. Aside from the Switch, the company also has revenues from its smart devices and IP-related revenues, which have increased 26% year-over-year. Those areas also represent the biggest potential for growth over the next three to five years, according to Jefferies analyst Atul Goyal. “Given how conservatively Nintendo guides and how street estimates mirror that conservatism, we believe the ‘Beat and Raise cycle’ will continue for the next 2-3 years,” Goyal wrote in a note. He sees the company as continually beating estimates and prompting Wall Street, as well as the company itself, to raise its guidance in a constant cycle. Goyal also believes a large part of the market may have missed out on the upside because they are looking at the company’s guidance, which he views as conservative, rather than the track record of the company. The analyst said that video game stocks as a whole are part of a “vibrant cycle” that combined with a structural upside due to consumers’ digital transition, has helped all the major video game companies gain in the market. Jefferies has raised its price target to 69,200 yen (or $US635.25), a 44% increase from its current price of 47,970 yen. Nintendo’s stock was up 11.02% for the year. Read more about how another secret weapon that Nintendo has in its arsenal besides the Switch.